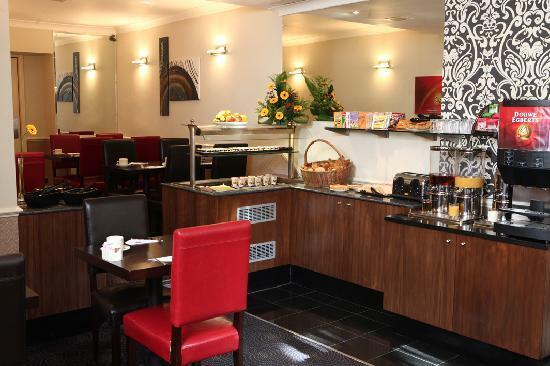 Another great hotel from Best Western that is situated nearby Hyde Park, this beautiful and natural Royal Park in London, is the well-known Best Western Delmere Hotel (130 Sussex Gardens, W2 1UB). It represents a tasteful example of traditional Victorian architecture, high standards and competitive prices. Besides numerous acclamation recognized by certified critics, you can make an idea on their website and check out their offers. Another important benefit that is caused due to its perfect central location is the fact that you are at a walking distance from all this wonderful British touristic attractions, stores and also outstanding views. So please make sure to take some time and at least pay a visit to such impressive attractions as: Buckingham Palace, Big Ben, London Bridge and the London Eye. All these cultural venues turn Best Western Delmere Hotel into a favourite accommodation, preferred not only by solo business men or women, but also by couples of families that came on holiday to London with their youngest. For those relatives or close friends that are waiting for a little souvenir on your way home, do not panic. In case you do not have a lot of time at your disposal, you can take advantage of nearby stores like Harrods, the ones in Covent Garden area and on the famous Oxford Street. In order to get a Luton to Best Western Delmere Hotel Transfer by rail, you simply have the bus from Luton Airport Bus Station (every 10 minutes – line 888), the train from Luton Airport Parkway (every 20 minutes) via King’s Cross St. Pancras (very 5 minutes) then just have a 25 minute walk. This whole journey takes about 1 hour and 12 minutes. Another option would be to take the bus from Luton Airport Bus Station (every 20 minutes) via Marylebone, Gloucester Place (every 5 minutes) and then enjoy a 3 minute walk. This journey will take about 1 hour and 13 minutes. A Luton to Best Western Delmere Hotel Transfer by car can be done by taking the M1 motorway. Luton Airport is at a 31.5 miles distance from Best Western Delmere Hotel. This journey will take about 41 minutes, without including traffic. A Luton to Best Western Delmere Hotel Transfer with 247 Airport Transfer is going to take about 1 hour and 2 minutes, including rush hour traffic. The price for a Luton to Best Western Delmere Hotel Transfer starts from 54 GBP.